The French countryside is littered with medieval monasteries — stony, quiet, and atmospheric. Some are in a state of ruin; others are still home to peaceful monks or sisters going about their religious work. Still others are intact but now open only as museums. A little history can help visitors breathe life into these serenely remote monuments. 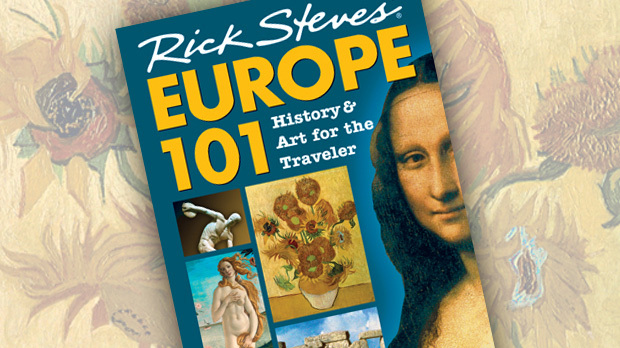 Monasteries arose in Europe as refuges from the dark chaos that followed the collapse of the Roman Empire. In many ways, when Rome fell, the medieval Church carried the torch of civilization: Senators were replaced by bishops, and the pope had the authority of an emperor. While the Church hierarchy concerned itself with prestige and power, the monasteries kept the focus more on spiritual matters. St. Benedict established the first great monastic order in 529, in Italy. The Benedictines distilled life down to its very basics: ora et labora — pray and work. Benedict's monastic movement spread north and took firm root in France. By 1100, the Benedictine abbey of Cluny (in Burgundy) controlled more than 1,000 dependent abbeys and vied with the pope for control of the Church. But power corrupts — even Benedictine monks. The abbeys grew rich, and some monks lost sight of their purpose, becoming soft and corrupt. Another order, the Cistercians, led by a determined and charismatic St. Bernard, took things back to basics. Cistercian monks lived in seclusion, built plain churches, and celebrated manual labor. They supported themselves and their abbeys through activities such as brewing ales, cultivating wine grapes, and producing wool. These abbeys were economic engines that helped drive France out of its Middle Age funk. A major task of monastic life was copying sacred and ancient texts. I love the image of monks gathered together, putting pen to parchment as they hunched over hand-lettered manuscripts. Stepping into the common room of an abbey, you'll most often see big windows facing north, providing gentle, even light by which to work. The labor was tedious and boring, but these medieval copyists, among the few literate people in Europe, were essentially preserving Western civilization. 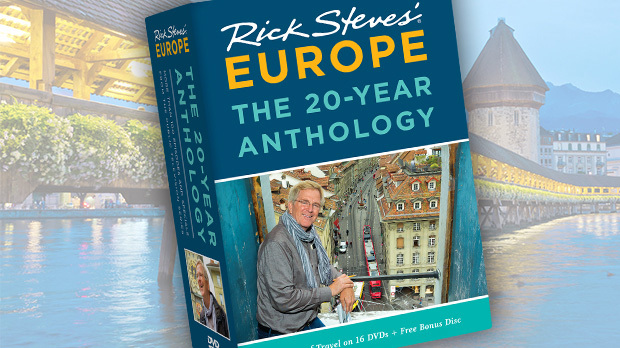 As France (and Europe) slowly got its act together in the late Middle Ages, cities reemerged as places to trade and thrive. Abbeys gradually lost their relevance in a brave new humanist world. Mont St-Michel, Normandy: For more than a thousand years, the silhouette of this marvelous island-abbey has sent the weary spirits of pilgrims and tourists soaring. Hermit-monks isolated themselves on the rocky island, surrounded by mudflats and the sea. The word "hermit" comes from an ancient Greek word for "desert," and the closest thing to a desert in this part of Europe was the sea. Imagine the "desert" this bay provided as that first monk climbed that rock trying to get closer to God. Jumièges Abbey, Normandy: This Benedictine abbey thrived for centuries — long enough to be leveled by Vikings in the 9th century, rebuilt by William the Conqueror in the 11th century, then destroyed again during the French Revolution. Today there's no roof, and many walls are missing. But what remains of the abbey's church is awe-inspiring, with its stark Romanesque facade standing 160 feet high. 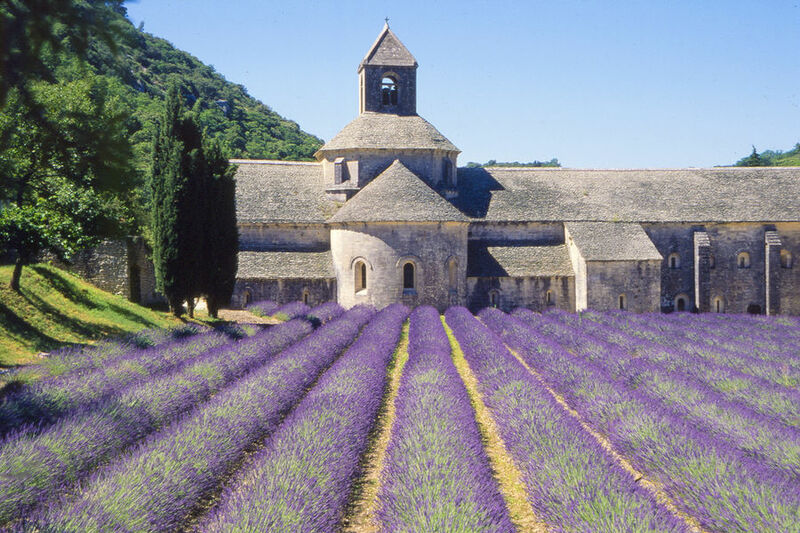 Sénanque Abbey, Provence: A Cistercian spin-off, this beautifully situated monastery — surrounded by lavender — is still home to an active community of monks. It's best in late June through much of July, when the lavender bursts into bloom. The abbey church is always open to visitors, and it's possible to join spiritual retreats here. Fontevraud Royal Abbey, Loire Valley: This 12th-century monastic city administered the 150 monasteries of the Fontevraud order, whose eccentric founder supposedly once demonstrated his vow of chastity by climbing into a bed full of women. Fontevraud became a royal necropolis, where Eleanor of Aquitaine and Richard the Lionheart were interred. 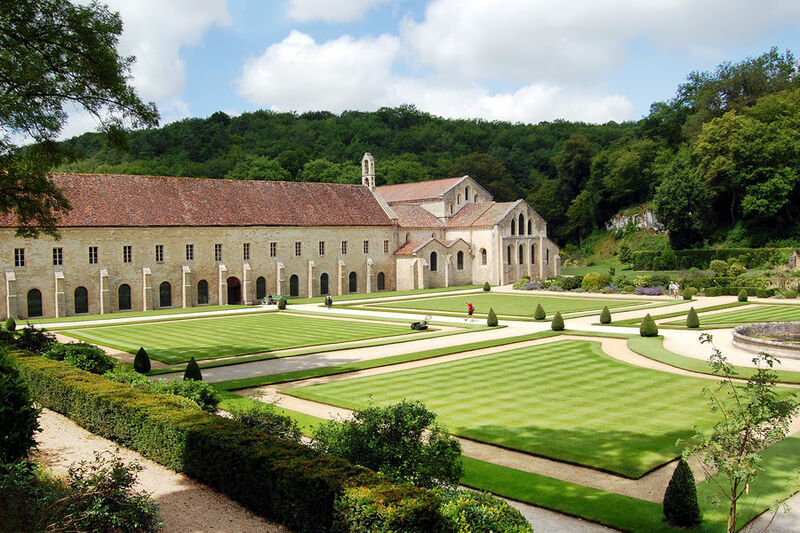 Cluny Abbey, Burgundy: People come from great distances to admire Cluny — even though the great Benedictine abbey itself is no more. The building was destroyed during the Revolution, and there's little left to see today. But this abbey was the ruling center of the first great international chain of monasteries in Europe, with unprecedented temporal power and spiritual authority. Fontenay Abbey, Burgundy: St. Bernard founded this Cistercian abbey in 1118 as a back-to-basics response to the excesses of abbeys like Cluny. The remote setting required the kind of industrious self-sufficiency we associate with monastic life. Blanketed in birdsong, Fontenay's gardens quiet the mind. The entire ensemble of buildings survives here, offering visitors perhaps the best picture of medieval monastic life in France.